The current generation of young working adults is getting more health conscious - understanding the importance of leading an active lifestyle and a well-balanced diet. One aspect many tend to ignore, however, is the effect that their home and indoor surroundings have on their well-being. As we spend more of our time indoors, making sure that our surroundings are contributing positively to our overall health has become equally as important. From your sofa to your kitchen appliances, everything in your home (and even the building it is in) can have an effect on your health. The WELL Building Standard is a performance-based system that measures and certifies real estate projects based on the features of the built environment, be it residential homes or office spaces, that impact the health and wellbeing of its occupants. 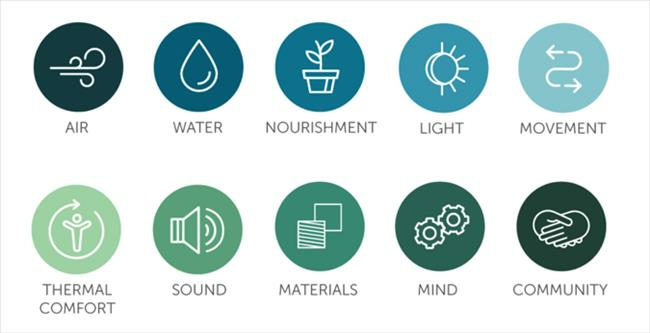 A WELL-certified home focuses on human sustainability, and is assessed based on the following 10 elements: air, water, nourishment, light, movement, thermal comfort, sound, materials, mind and community. Certain aspects such as materials used in constructing your residential building and community initiatives usually depend on your real estate developer and their commitment to improving the health and wellbeing of their residents. There are, however, some features that you can introduce in your home to fit your physical and mental health needs. Air: Fresh air is essential for your physical health, and also serves to dissolve stress and lift your mood. Hence, natural ventilation that brings in fresh air into your home is ideal. For homes with mechanical ventilation such as ventilation fans and air conditioning, you should ensure that they have adequate filtration to minimise indoor pollution. Water: Drinking water has many more benefits other than just quenching your thirst. The minerals in water help to improve cognitive function and maintain organ performance. You need to ensure that your home has a constant supply of clean drinking water with essential minerals. Nourishment: Eating healthy is not just about cutting down on fatty food or having more vegetables. You should also keep in mind the quality of the ingredients that you’re including in your meals. Sourcing for organic ingredients with fewer pesticides and artificial hormones, or even growing them yourself in your own home will go along way in ensuring that you eat as healthy as possible. Light: Your eyes are one of the most important organs of your body, and eye care neglect can have adverse effects on the rest of your body. Your home should be well-lit, especially with enough natural light that has been known to increase productivity, among other health benefits. Light level sensors also enable you to control the intensity of the light in your home, ensuring that you have visually comfortable lighting at all times. Movement: Urban working adults can be some of the unhealthiest people, sitting indoors at a desk for 8-10 hours a day. Joining your residential gym and working out an hour or so every couple of days makes a world of a difference to both your physical and mental health. If you work from home, why not try a standing or even a bicycle desk, to get in that extra bit of physical activity? Sound: While perfect silence is not always necessary for a good night’s sleep, unwanted noises can have a detrimental effect on your sleep cycle and other aspects of your health, even if they don’t wake you up. Furniture, fittings (e.g. doors and windows), walls and even ceilings equipped with mass loaded vinyl are able to act as effective sound barriers. Mind: It is important to take a break from work and your devices for a short breather every once in a while. Having a space in your building with access to nature and fresh air helps to promote restoration and relief from mental fatigue. A small space in your home that has calming colours, sounds and odours, with some comfortable furniture can also help in helping you recharge and refresh your mind. Sansiri’s commitment to #CompleteYourLivingExperience continues with its brand new ‘Wellness Residence’ development, a joint venture with Japan’s Tokyu Corporation and Samitivej Hospital, the only Thai hospital that features on the Medical Travel Quality Alliance list of the Top 5 World’s Best Hospitals for Medical Tourism A first in Thailand, this residential project aims to enhance resident health and wellness in all perspectives, across all age demographics. Wellness Residence places the holistic health of its residents at the centre of the development, with dedicated initiatives emphasising healthy lifestyles and creating a wellness community. Mind, Soul and Like-Minded Community : Partners from leading lifestyle brands will be closely involved in activities to encourage residents to embark on their wellness journeys. 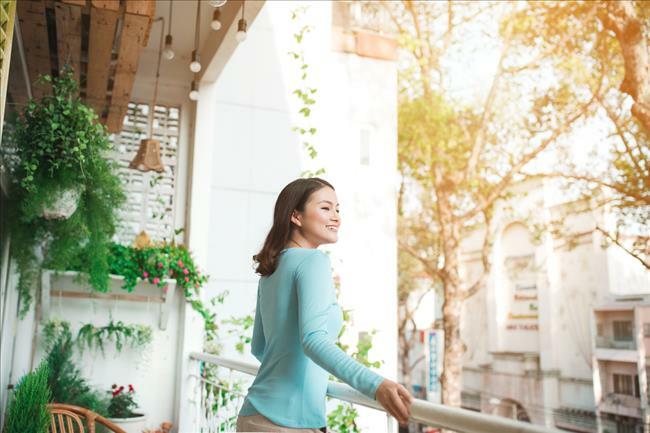 Body: Residents can expect a combination of space planning, ergonomic design and ergonomic function in both unit and facilities areas, constructed with the proven expertise of Sansiri and Tokyu Corporation. Health: Some of the innovative health solutions and services that Samitivej Hospital will be introducing include physical and mental support through direct and online channels, preventive and predictive health consultancy, and tele-health solutions that will give residents access to prompt medical consultancy through technology, among others. Environment: Wellness Residence, through its construction and initiatives, aims to be WELL-certified, making it Sansiri’s first residential project to obtain that certification. It will be built with materials that are minimally hazardous, reducing its negative impact on both the environment and the occupants. “Health is wealth”, goes the age-old saying. While you might feel inclined to maximise your time and energy on earning as much as you can when you have the advantage of youth, your physical and mental health should not go neglected. Taking some time out of your day or week to unwind and focus on your well-being will leave you feeling refreshed and ready to successfully tackle your next task with vigour. Stay updated on Sansiri’s latest developments by subscribing to our newsletter at the bottom right of the page.